The Symbian foundation has suffered another blow as Samsung has revealed it is leaving the open source OS. Earlier this week we brought news of Sony Ericsson jumping off the Good Ship Symbian to hop onto the Google Android freighter, and now it seems Samsung is following the life raft. 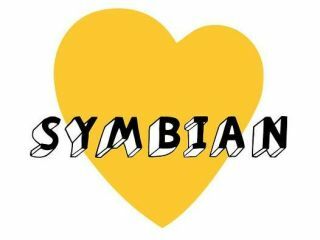 Samsung has reportedly sent an email to registered developers of Symbian stating that it will be ending support for the Symbian platform by the end of the year, although whether it will leave the Symbian Foundation board too is unknown. Last year, Samsung told TechRadar that it wasn't leaving the Symbian platform, stating: "Samsung is an initial member of Symbian Foundation and continues to cooperate with Symbian Foundation. At the same time, Samsung supports various existing open operating systems including Symbian, Linux, Android, and Windows Mobile." But then it announced Bada, its own smartphone/featurephone platform, and hasn't come out with a Symbian phone since the (actually rather good) i8910HD. But don't worry - Nokia still plans to ship 50 million-plus Symbian devices in the next year or so, offering plenty of scope for Symbian to flourish, and we've still got Symbian^4 coming too to help bolster the platform.